Lucy is a specialist clinical negligence Solicitor, acting for patients in relation to claims involving all aspects of medical treatment. Lucy joined the Clinical Negligence Team in 2015. Lucy has over 12 years’ experience of acting exclusively for patients bringing clinical negligence claims. Lucy takes pride in ensuring that she achieves the best possible results for her clients, both in terms of financial compensation and providing security for their future and also in getting answers to try and understand what happened with their treatment so that it will not happen again. Lucy is a member of the Law Society’s Clinical Negligence Panel. 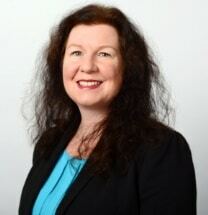 Lucy is also accredited as a Litigator with APIL – The Association of Personal Injury Lawyers. Lucy studied Law at the University of Essex and completed her LPC at Manchester Metropolitan University.